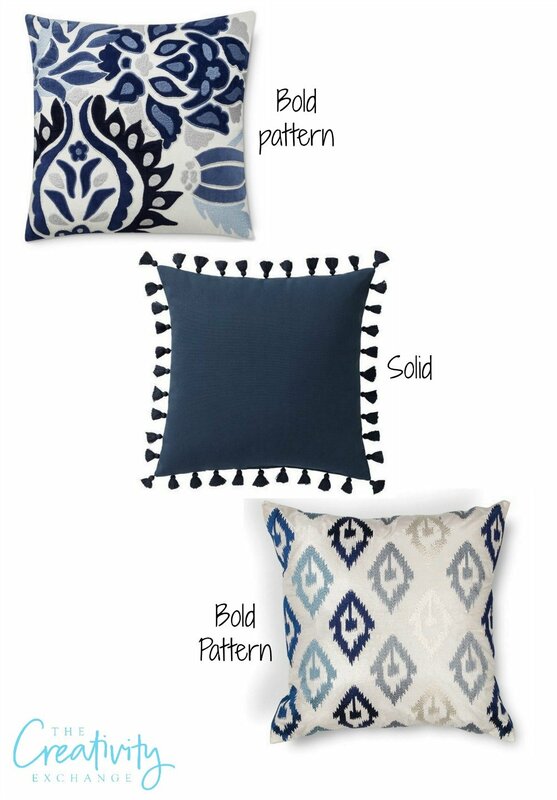 It’s time for another Moody Monday and today I wanted to share just a couple little tricks for mixing pillow patterns and colors that works great for layering fabrics and spaces as well. I have been running across some amazing pillows lately that I have wanted to share with you guys as well. 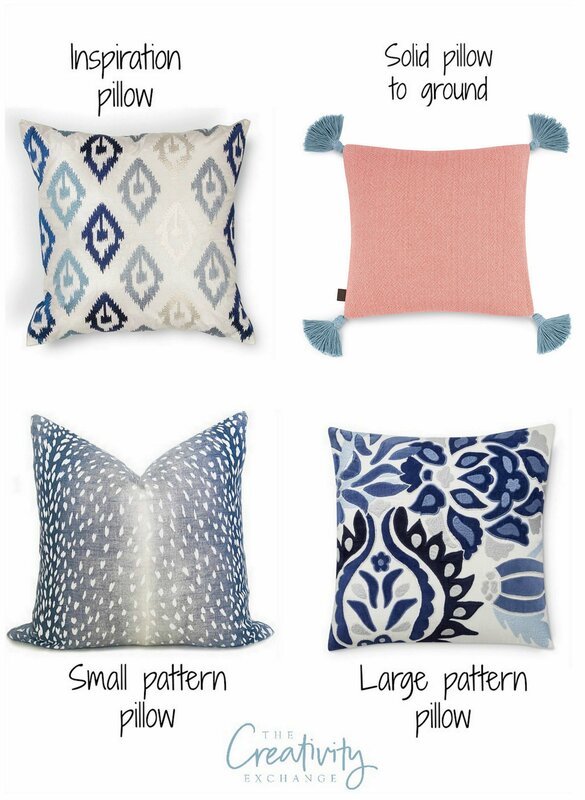 I’m sure you guys all know how to mix and layer pillows but I wanted to just show you a couple things we did during my department merchandising and visual design days for layering colors and patterns that has helped me so much over the years. 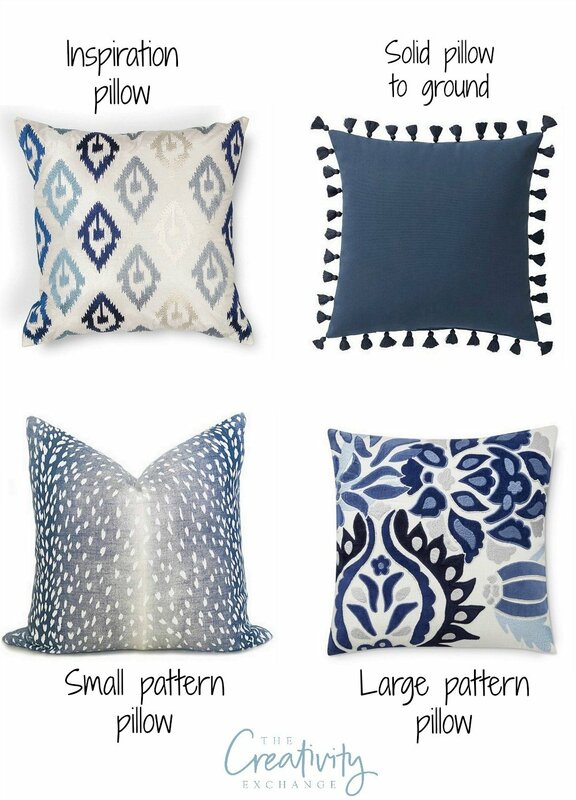 Again, these tricks are universal when it comes to layering color and patterns and can work not just with pillows but layering a whole room as well. Everyone knows how to layer and mix two colors but how about mixing more than two or three? How about mixing something like 4-6 colors? The trick is to begin by finding a pillow that has most of the colors you want to use in the space. It doesn’t matter if the pillow has pattern or stripes of colors. It also doesn’t matter if your main color is the boldest. I love this part because you may find a pillow with colors that you did not expect to use but like. 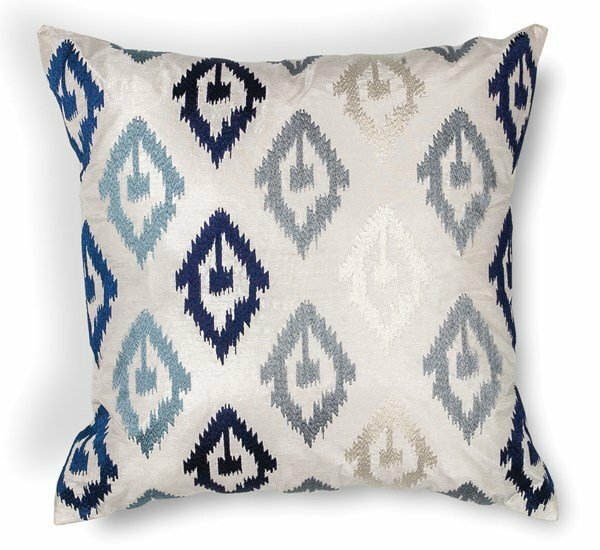 After I found my main inspiration pillow, I then looked for a mix of solid pillows and big and small patterns to begin layering. As long as the two bold patterns are different from each other and you have a solid color to use as grounding, mixing two bold patterns work. The same concept works with mixing two small patterns. Here’s another example below but this time, I put together a solid that isn’t completely solid (it has a white line) to show you that it still works as a solid. I also incorporated a striped pillow as well, which anything stripe can also work as grounding (like a solid). 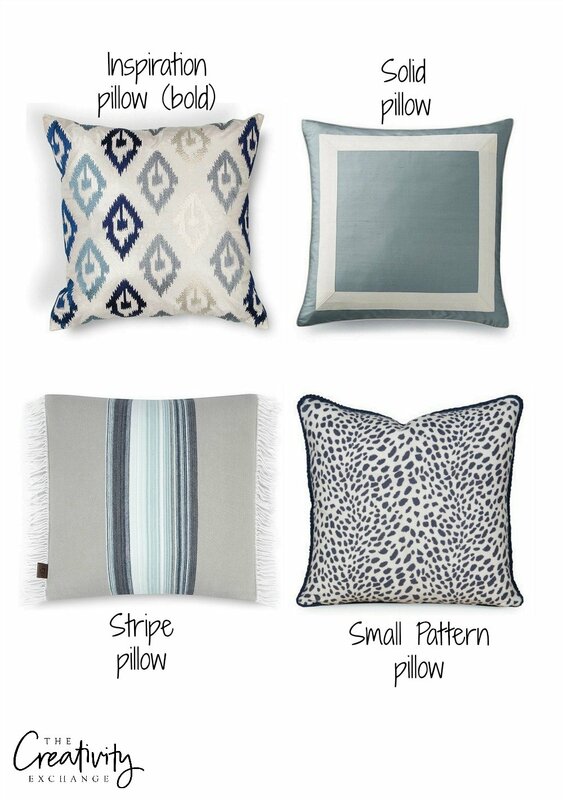 You’ll also notice above that the small navy leopard print doesn’t have the light blue color like the other three pillows but it still works in the combination because it’s navy that is found in two of the pillows. 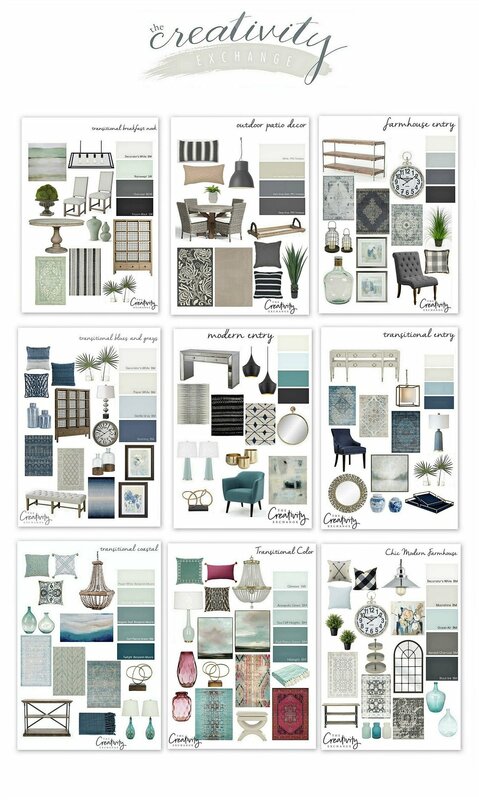 We can accent with a bold accent color using the pillows on today’s mood board or the examples and add a whole new accent color that is not contained on our inspiration pillow. Let me show you what I mean.. I tried today to give you guys a great mix of pillows that are both budget and luxury. 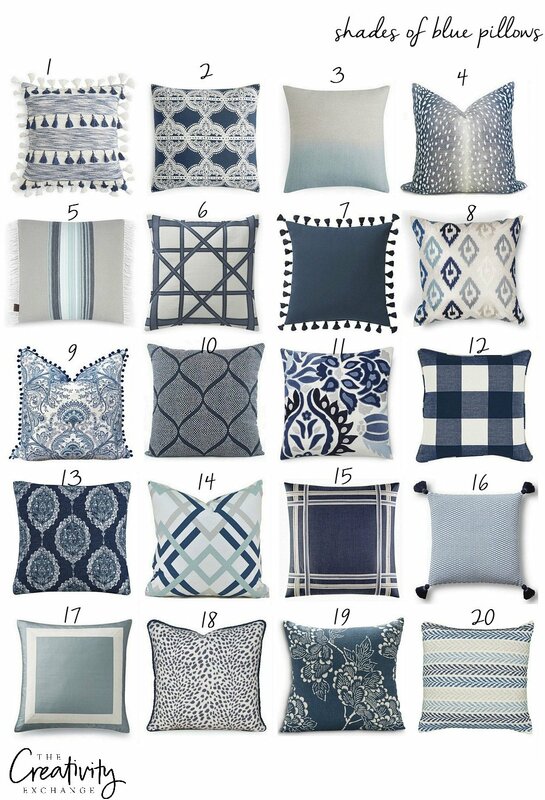 I always like to splurge on one pillow with beautiful high-end fabric and then spend less on the solids and more easily available budget pillows. Great post as always.. Love your explanations on how you create your design boards.